Posted byTerry Gorry	 January 14, 2019 January 21, 2019 Leave a comment on Success-Is It Luck, Genius, Hard Work, Serendipity? It was 1987 or 1988 when I met him. He went on to become one of the most successful and high-profile figures in Irish business for the next quarter of a century, or thereabouts. And his success has always puzzled and annoyed me. Because my gut feeling, from my observation and conversation on a Saturday morning on the south side of Dublin back in the 80s, was that he was steeped in luck. My gut feeling was that if he had not failed in his venture then he would never have got the big break that he later made the most of. But he had failed, or at least not succeeded-he was only ‘average’ and it was that ‘average’ that forced him to quit. That led, fortuitously, to his big break and subsequent spectacular success. Now I am reading a book that appears to confirm my view, a view that I could never, by definition, prove. The book is “Outliers” by Malcolm Gladwell and he puts forward a compelling thesis of how and why spectacularly successful people succeed. He asks the questions such as “is it genius”, “is it IQ?”, luck, serendipity, hard work, a combination of these? Where you come from matters-the difference between high IQ people who achieve and those who don’t is hugely influenced by their family circumstances, their background, their skills. In a nutshell the recognition that analytical intelligence is not practical intelligence. 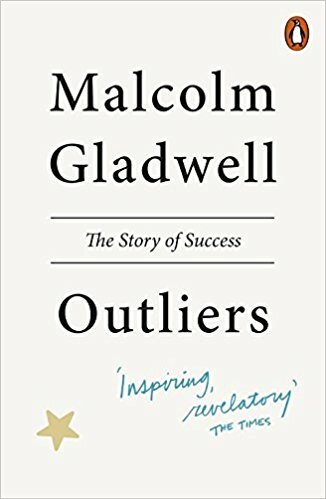 Even if Gladwell’s thesis is not perfect or does not explain everything or the success of every ‘outlier’ I believe it is close enough to be of real value and worth serious consideration.